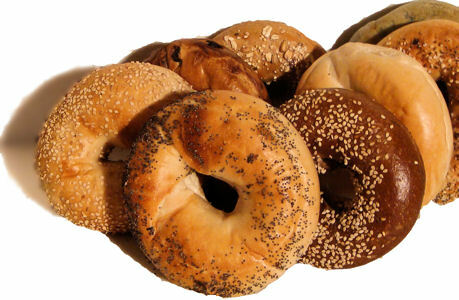 Enjoy breakfast and lunch at our local coffee shop and bagel shop in Bridgewater, New Jersey. The Coffee Grinder Café and Bagel Shop is a full service coffee shop, breakfast shop and lunch café that features mouth-watering homemade food items. At our shop, you will have a great menu that does not feature over-processed foods. We feature freshly ground New England Coffee and Green Mountain Coffee every morning to wake you up. In addition to a variety of light, medium and dark roasts (caffeinated and decaffeinated), our coffee selections rotate to feature bi-monthly specialty blends such as Guatemala Antigua, Sumatra Mandheling, Colombian Supremo, and Costa Rican varieties. Coffee Grinder Café bagels are delicious and always fresh.